Arizona Gov. 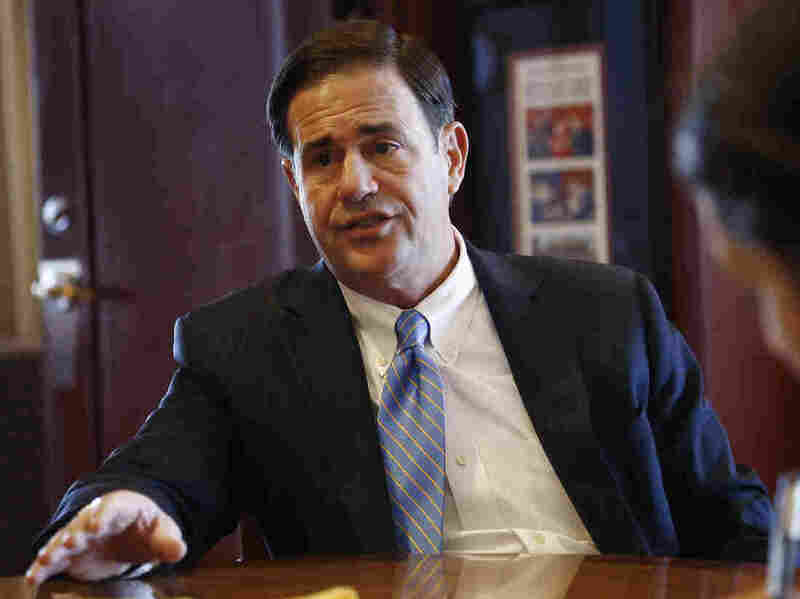 Ducey Orders Clearer Disclosure Of Potential Medicaid Conflicts : Shots - Health News After an investigation by the Center for Public Integrity and NPR into conflicts of interest in Medicaid decisions about drugs, Arizona's governor added new transparency rules. Arizona Gov. 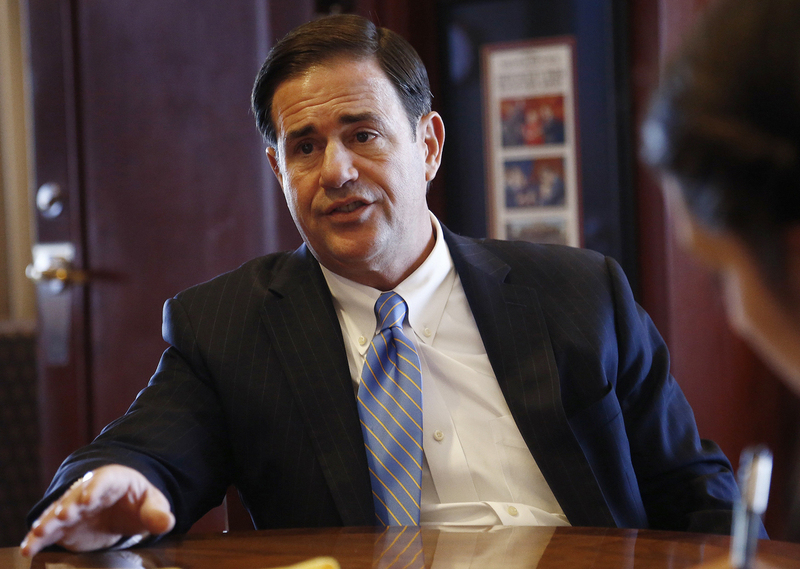 Doug Ducey, a Republican, announced new measures to blunt industry influence on Medicaid decisions in the state. In response to a joint investigation by the Center for Public Integrity and NPR into the influence of the drug industry on Medicaid, Arizona Gov. Doug Ducey made changes to the state's Medicaid program Friday, including adding new transparency rules and kicking a doctor off a state committee. Ducey, a Republican, told Dr. Mohamed Ramadan, who accepted more than $700,000 in perks and payments from drugmakers over four and a half years, to step down as a volunteer member of the committee that helps the state decide which drugs should be preferred for Medicaid patients, the Arizona Republic first reported. The Republican governor will also ask law enforcement officials to investigate Ramadan because the doctor appeared to violate the state's existing conflict of interest statutes, according to Ducey's spokesman Daniel Scarpinato. "The governor was very alarmed when he saw this report," Scarpinato said. "He felt that action needed to be taken very swiftly here, that this was a clear example of where we need to make sure any decisions that are being made related to health care are being made with regard to public health and not related to any undue influence." Ramadan did not immediately respond to requests for comment. Ducey also issued an executive order Friday requiring the Medicaid drug committee members to receive annual conflict of interest training and abstain from votes or discussions regarding items with which they have conflicts. The governor's order instructed the state Medicaid agency to publicly post its drug committee members' disclosures, require speakers at the committee meetings to disclose financial ties to drugmakers and determine a threshold for drugmaker payments that would disqualify a member from serving. The Center for Public Integrity's investigation with NPR found that at least three out of five doctors voting on state Medicaid drug decisions nationwide in the past two years received perks from drugmakers. Ramadan received the most. The investigation also revealed that drugmaker representatives swarm the committee meetings and are not always upfront about their financial ties to pharmaceutical companies. States differ in how much they require public speakers at the meetings and the committee members themselves to disclose. In Arizona, Ramadan disclosed his relationship with drugmakers but did not have to provide details, and the disclosure was not public nor provided to his fellow committee members. Even before the center's investigation with NPR was published, a doctor serving on New York's Medicaid drug board resigned, and a New York health official divested his stock in pharmaceutical companies, following our reporter's questions. Ramadan also abstained on voting on certain drugs during the July 17 meeting of the Arizona committee, following interviews for the story. The Center for Public Integrity is a nonpartisan, nonprofit investigative news organization in Washington, D.C. You can follow Liz Essley Whyte on Twitter at @l_e_whyte.